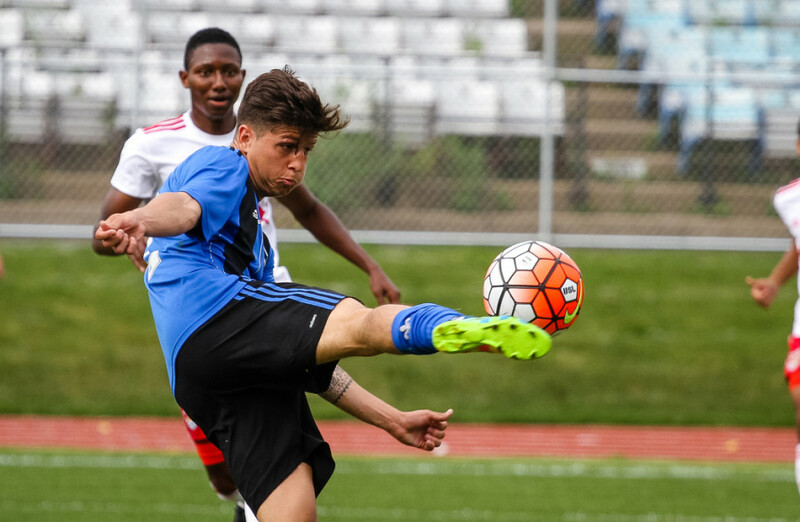 FC Montreal let their guards down after holding tight for 90 minutes. A stoppage time goal courtesy of forward Junior Flemmings gave the 1-0 win to New York Red Bulls II at Montreal’s first game in Complexe Sportif Claude Robillard Saturday afternoon. FC Montreal tried to go for the full three points but got caught on the defensive side. A cross from the right flank fooled goalkeeper Eric Kronberg and Flemmings took his chance to send his team back home with the win. According to Beland-Goyette, despite their good plays and hard work in the past games, Montreal still hold and 0-8-0 record at the end of the day. “Not everybody watches the game, they only remember about the loss and it needs to change,” said Beland-Goyette. FC Montreal head coach Philippe Eullaffroy admitted that a last minute push made the team unbalanced defensively but emphasized on his team’s lack of finishing. Due to many players getting called up to the Canadian under 20 national team camp in Costa Rica, Montreal head coach Philippe Eullaffroy decided to go with a starting lineup he called “experimental.” Many players were not playing in their usual positions. Some of the changes included central midfielder Marco Dominguez, who was moved to the right side of the defence. Janouk Charbonneau, who normally occupies the right back position, was playing in central defence. The camp was later cancelled and the players flew back from Costa Rica and came back at midnight the day before the game. Having endured several hours in a plane, Eullaffroy did not change his initial lineup. The team, already lacking options offensively, has lost striker Jacques Haman, who was released by the Montreal Impact organization for various reasons, including visa issues. After playing the first game back from a point-less five-game away stint, Montreal heads back out on the road next week. 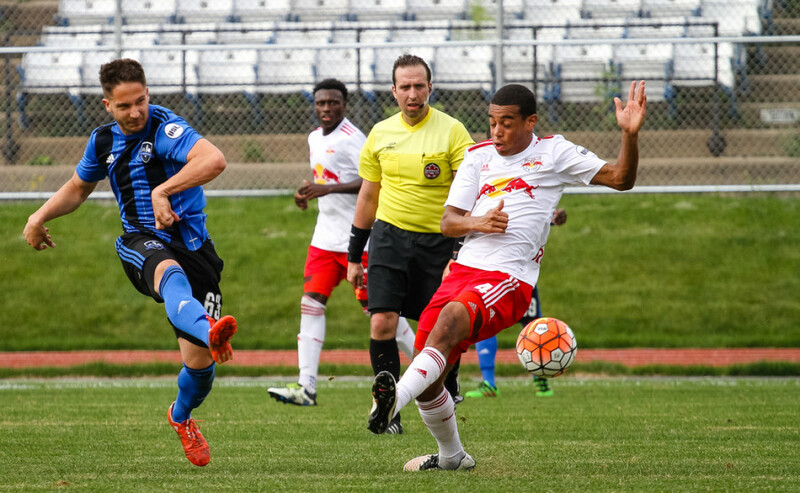 Eullaffroy’s squad will face the Richmond Kickers in Virginia on Saturday May 28.